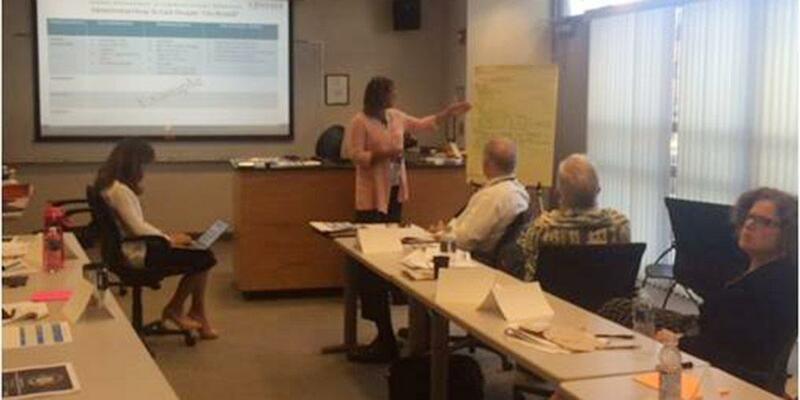 BSI and Upstate Medical University representatives participated in multiple conference calls and electronic communication to explore how Upstate could convert its existing strategic plan elements into an integrated planning and performance management system using a balanced scorecard framework. After significant interaction, BSI recommended a customized approach involving training and consultation designed to: 1) Optimize the good work already in progress at Upstate 2) move the University towards an integrated balanced scorecard system through the development of an institutional, Tier 1 Balanced Scorecard and 3) insure future sustainability of the process and system after engagement completion through training of Upstate representatives. Upstate Medical University provided BSI with significant amount of information for familiarization of Upstate’s past, current, and desired future state. 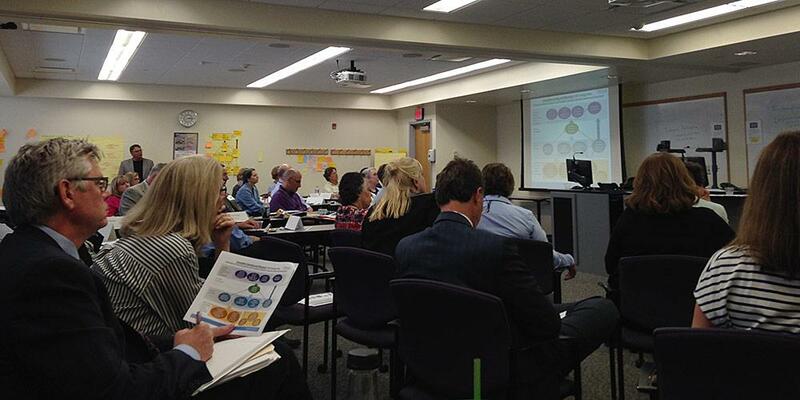 Upstate Medical University completed additional assessment work to ready itself for the engagement. President Laraque-Arena and a variety of institutional representatives (See participants) gathered for a two-day kick-off session with Balanced Scorecard Institute (BSI). 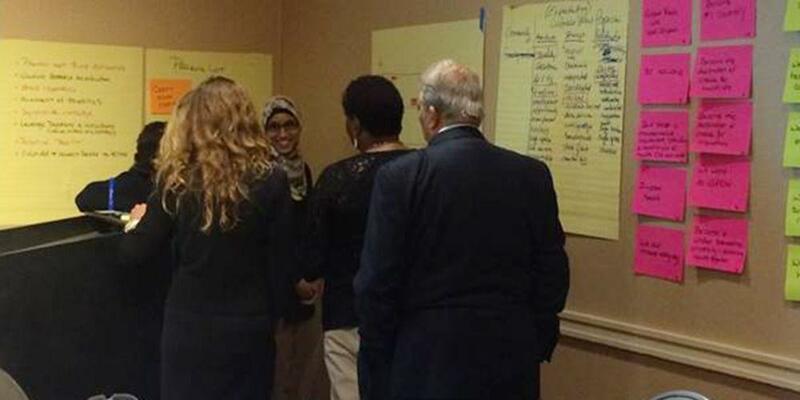 This workshop served as the first opportunity to bring together a cross-representational mix of institutional leadership in this strategic planning effort to understand the Balanced Scorecard methodology and agree on the guiding strategic themes and results needed as a foundation for building a strategic balanced scorecard. This group received an overview of the Balanced Scorecard system, review of the work completed during the Strategic Foundations session earlier in June, and training on best-practice communication related to this type strategic planning and management process. 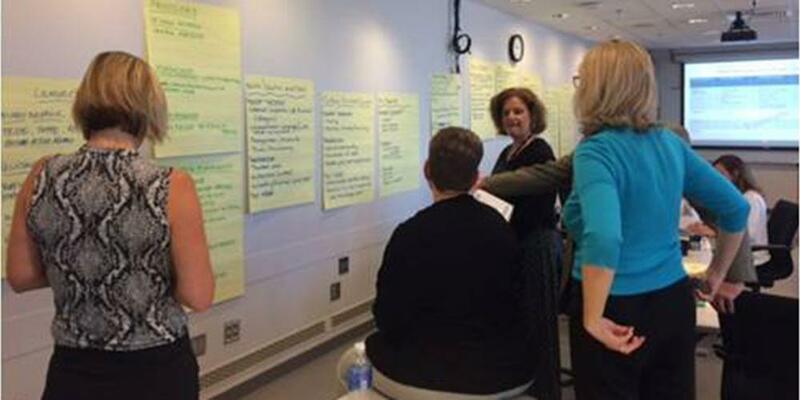 A Communications Matrix specific to Upstate Medical University was developed with initial ideas on what, when, and how to communicate the strategic planning initiative internally and externally. This group will continue to work throughout the process in insuring appropriate, timely, and relevant information is disseminated. For this section of the engagement, each member of the Theme Teams received a half-day training on July 12, 2016 from the BSI consultants overviewing the Balanced Scorecard system, the work to date, and explanation and instruction on the work to be completed during the upcoming workshop. Members were taken through a series of exercises to understand strategy maps, objectives, and commentary for development in the next meeting. On July 25 – 26, 2016 the BSI consultants returned to work with all 40+ members of the Theme Teams. The groups were charged with development of a Theme Strategy Map, objectives (what we need to do on a continuous improvement basis to achieve this desired result) and commentary (captures the essence and scope of the team’s discussion about strategy and strategic objective). Intended results and potential initiatives through which to meet the objectives were briefly discussed. The Theme Team groups to explain the content and rationale of their workshop outcomes. The materials will be used in the next phase of the engagement to occur in September 2016. This work marks the end of the Theme Team member responsibility other than future invitation to updates or if asked to participate in a future phase. Dr. Laraque-Arena, the University Executive Committee (UEC), and Theme Team Co-Chairs further developed the prior work of the Theme Teams during this two-day session. Specifically, the group was charged with merging all four Theme Team Strategy Maps into a single organization-wide (Tier 1) Strategy Map. This process was facilitated through a series of small and large group activities and discussions designed to insure all areas of the institution were equitably represented within all of the objectives. Commentary and intended results for each objective was created to inform the work of the next session. The Strategic Management Team to explain the content and rationale of their workshop outcomes – the draft Institutional Tier 1 Strategy Map. From these institutional objectives and supporting information, the Objectives Teams will next create the respective performance measures and initiatives to drive the ultimate outcomes indentified in the Tier 1 Strategy Map. 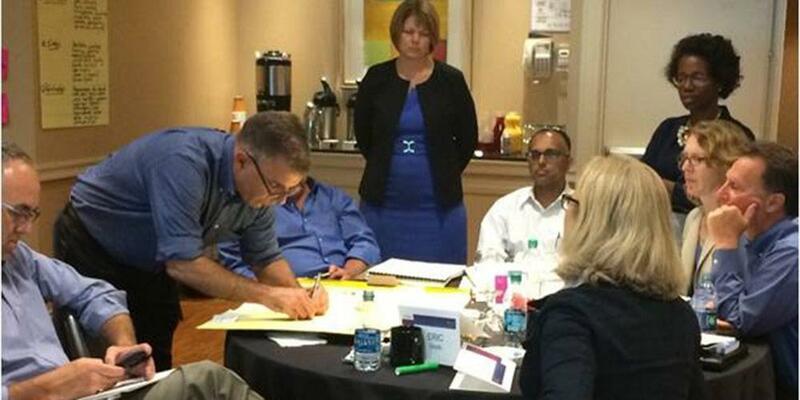 In November, the Balanced Scorecard Institute (BSI) consultants returned for a two-day session intended to further refine the Tier 1 Strategy Map Objectives. 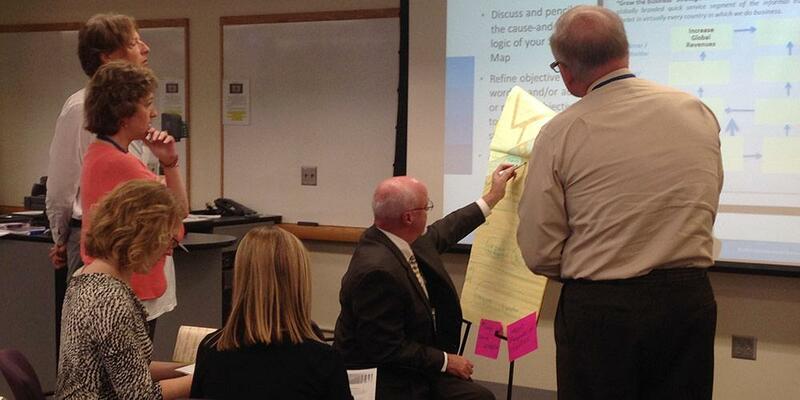 The Strategy Map consists of fifteen (15) objectives deemed as institution-wide priorities across our mission. Through a variety of small and large group exercises facilitated by the BSI representatives, the teams spent the workshop identifying appropriate performance measures and initiatives to support the objectives. Each strategic objective had an assigned team consisting of a team leader and cross-functional content experts. As with all other phases of the strategic planning process to date, continuity of work was maintained by repeat participation of some individuals while simultaneously increasing representation, involvement and expertise by adding many new participants. 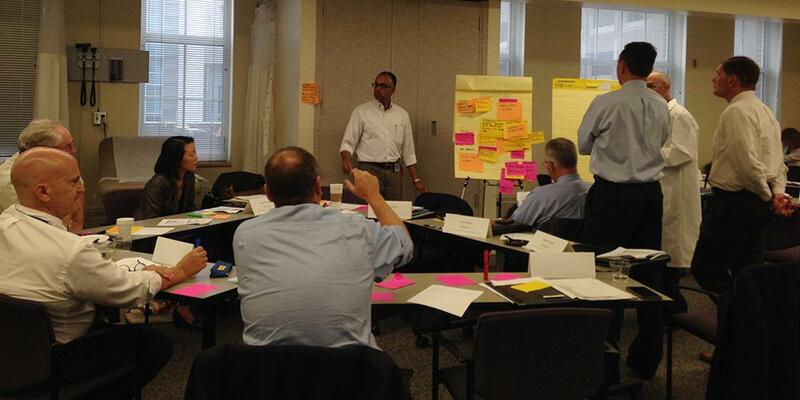 This working session comprised of approximately eighty (80) individuals from across the institution. Topic: Objective Teams reporting to Dr. Laraque-Arena, President, and each other the refined objective descriptions, intended results, measures and any candidate initiatives. At the Annual Leadership Retreat scheduled for the end of November, Dr. Laraque-Arena, President, and her Extended-University Executive Committee will work with the BSI representatives to review the proposed performance measures and initiatives to finalize into the institution-wide priority areas of measurement and work. Ultimately, the Upstate Medical University Tier 1 Strategy Map and supporting Strategic Plan will launch institutionally in early 2017 with an awareness campaign, educational opportunities, workgroup development to move forward initiatives, and opportunities for further involvement amongst the workforce. On the last day of November, the Balanced Scorecard Institute (BSI) consultants returned for a one-day working session with Dr. Laraque-Arena’s Extended University Executive Committee (E-UEC) and additional research and hospital administration representatives. The purpose of this session was to review and further refine the Objective’s Teams submissions from the previous workshop. Through a variety of small and large group exercises facilitated by the BSI representatives, the group spent the session understanding and prioritizing, in particular, the initiatives deemed most impactful in moving forward the fifteen institutional objectives. On December 1, 2016, Dr. Laraque-Arena and her leadership team will review, further refine, and prioritize the work of this session. 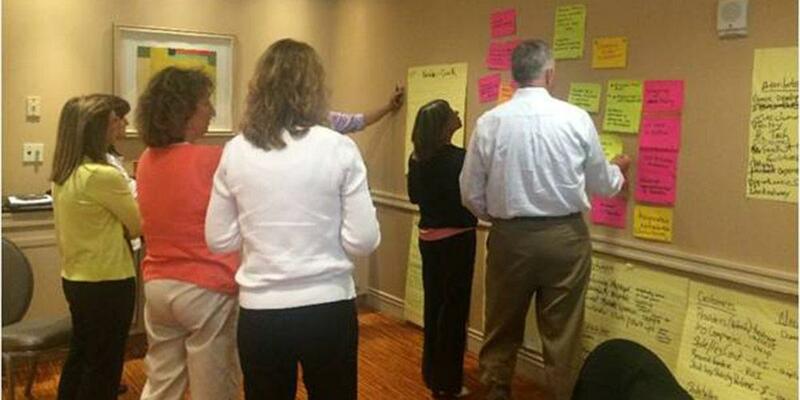 From there, determination of next steps with the Balanced Scorecard Institute and finalization of the Upstate Strategic Plan will be determined. Additional information will be forthcoming in the New Year.